"These products have allowed us to greatly automate our processes, resulting in an enhanced client service experience for our investors by giving them access to more information at their fingertips." 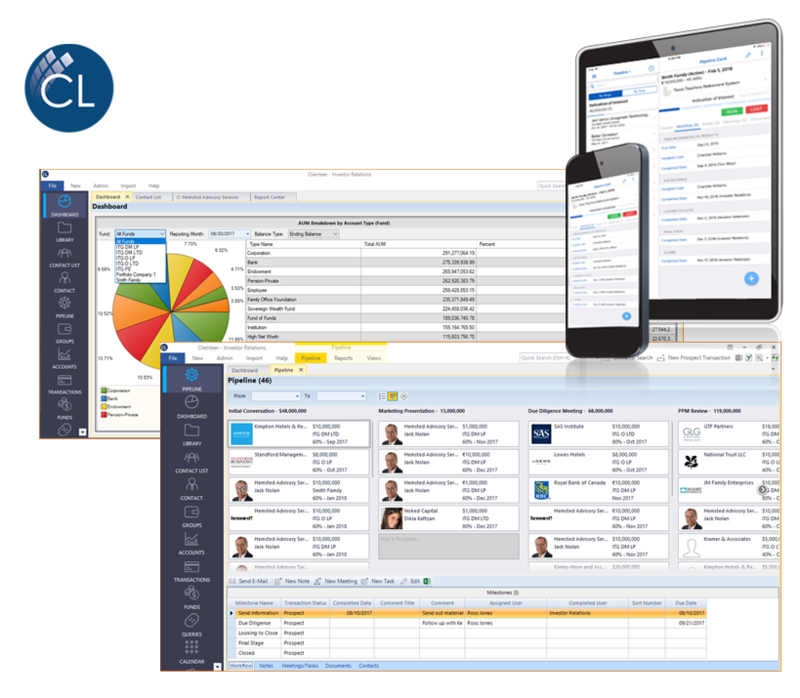 Clienteer stores more balance and transaction data at class, series and tranche levels allowing fund managers to capitalize on more holistic investor reporting. Clienteer's native Mobile App drives adoption across fund marketing teams, allowing more data to be accessed and captured in real time. WebVision's flexible permissions structures and disclaimers allow managers to securely share the information investors and prospects crave to see. Clienteer and WebVision's seamless integration represents the industry's most robust and automated relationship management solution. Download the full case study today!